Man Walks Through An X-Ray Machine, Netizens Say LOL! First times can be difficult no matter what you are doing. Walking for the first time was a task for everybody. After growing up, acquiring a new skill or navigating through a city might feel daunting. And for a first-time traveller, getting past airport security seemed highly confusing. 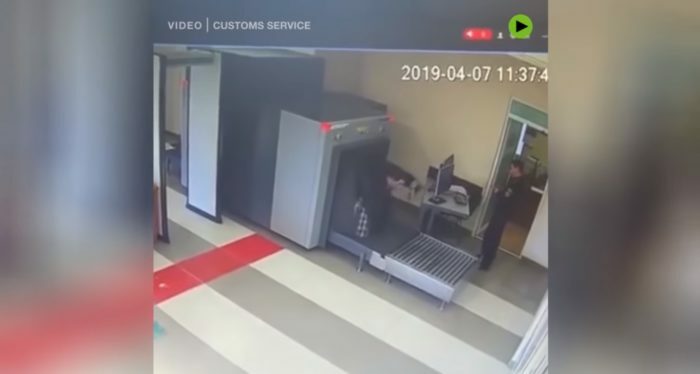 Footage from a CCTV camera, allegedly at the Dagestan airport in Russia, shows a man entering the airport security area and taking a trip through the X-ray machine. It’s apparent that the man hasn’t travelled before and hence he was confused after seeing the huge machine with rollers on it. But nobody would’ve expected him to get his innards checked along with his luggage. Netizens couldn’t contain their laughter after seeing this man’s actions. That's how X-Men really started. Now, this isn’t the first time that a member of the human species has done something like this. But since more and more people are entering X-ray machines, don’t start getting any ideas because too much exposure to the radiation can have some harmful side-effects.